What does it take to satisfy a hungry tummy that craves Japanese cuisine? A fire-grilled Saba? A side of perfectly crisp, mouth-watering tempura? A hot bowl of the classic miso soup? Well, if you are an adventurous Japanese connoisseur, you can have all three – and then some. In celebration of Nomiya’s Handmade Ramen Teishoku Tasting, we’re sharing the story of how one meal set delivers the heart of Japanese favourites almost anywhere in the world. It all starts with one word that you will never forget: Teishoku. A long, long time ago Teishoku (tey-show-koo) was used as an offering at Zen temples. 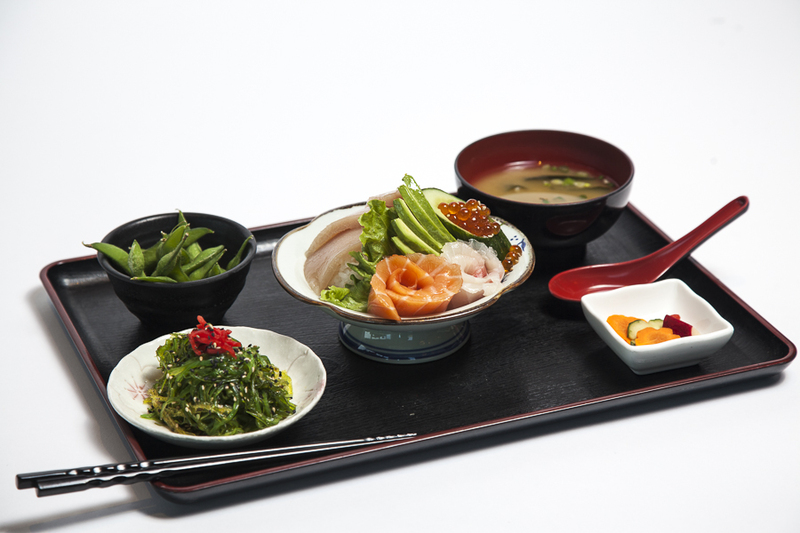 Teishoku dining is based on the Japanese word, “ichiju-issai”(ee-chee-joo ee-sai) which means, “one soup, one side”. The original Teishoku was made up of mini bowls and plates of rice, pickled veggies, soup, and one main dish. The set concept spread throughout Japan and transformed into the convenient meal sets found in Japanese restaurants across the globe today. Eating a meal made up of multiple small dishes incorporates several aspects of traditional Japanese home cooking. The set is usually named after the main dish to give you a clear idea of what you will be expecting. Miso soup is an essential component. As you may already know, miso is made from sashi broth and miso paste. Fun fact: miso has unique probiotics that can aid in digestion and is a perfect pair to a bowl of rice…which is where we’re heading next. Rice and noodles are central components to any Teishoku meal. Rice can be in the form of simple, short grain white rice or donburi (rice topped with braised or stewed protein). 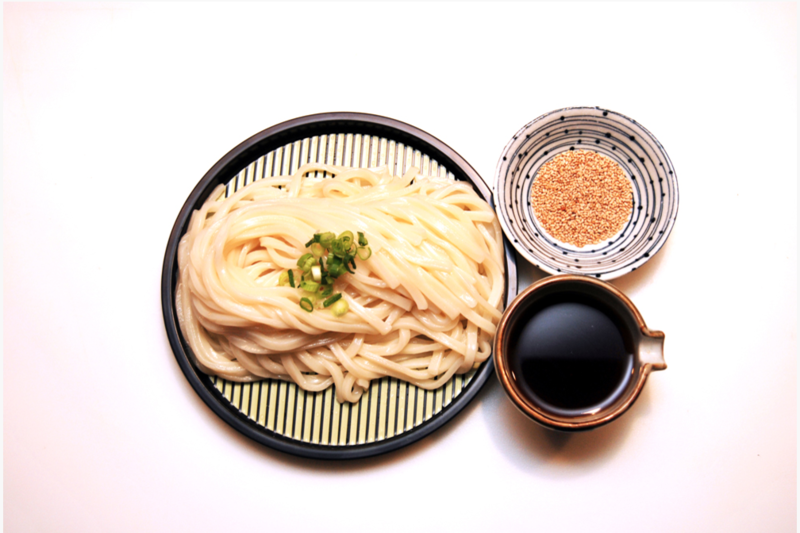 Noodle dishes such as udon wheat noodles are a savoury, flavorful choice that can be served hot or cold. A little green is always welcome in Teishoku. “Souzai” salads commonly accompany the meal set. 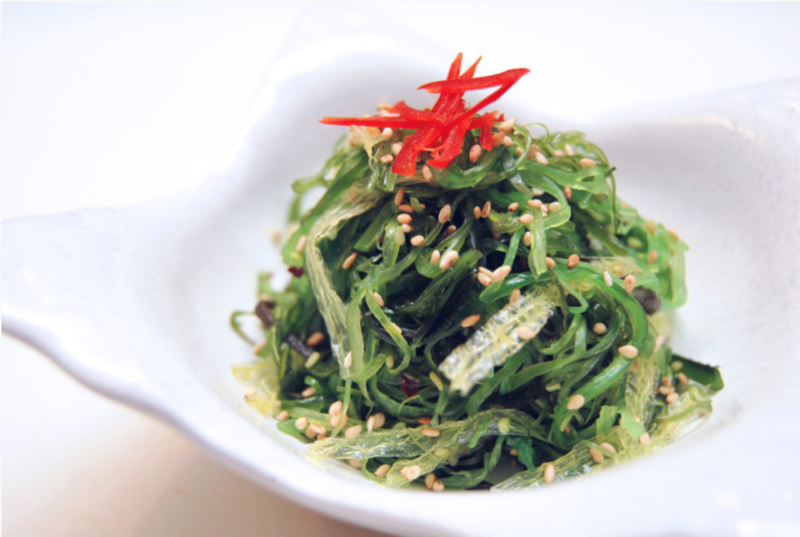 It can be a small bowl of lightly fried edamame, or fresh hijiki seaweed salad, which are both rich in nutrients. The idea of serving this timeless dish stems from Nomiya’s commitment to serving Japanese home cooked meals away from home and into the Edmonton community. 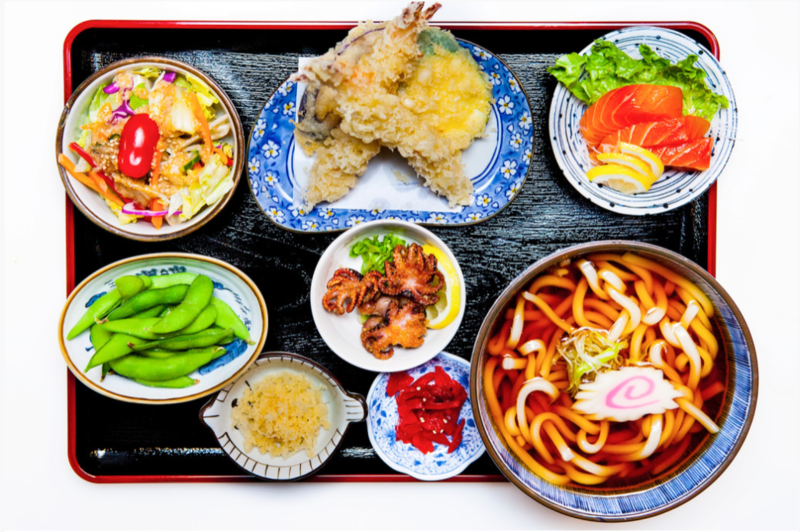 Nomiya’s Teishoku sets use the freshest local produce and OceanWise certified seafood. Apart from having different side dishes, Teishoku gives you the chance to experience many different flavour profiles and textures all into one healthy, well-balanced meal. 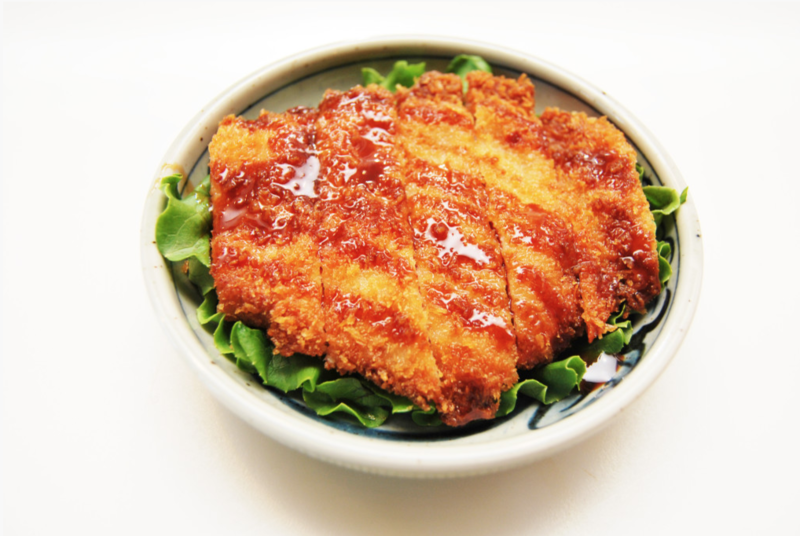 Whether it be the delicious crunch of deep-fried pork cutlets, chicken karaage (deep fried chicken), or warm and hearty Agedashi tofu, Teishoku is the meal for your next lunch stop or indulgent dinner.